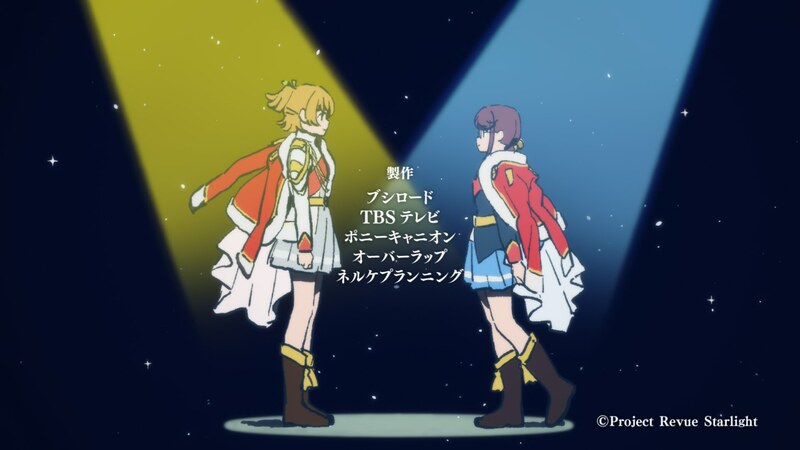 Revue Starlight‘s second to last arc came to an end, so it’s time to delve into its production again to find out the secret behind its bewitching successes, who they’re owed to, but also the problems the team keeps suffering through. Enjoy this write-up peppered with behind the scenes details! 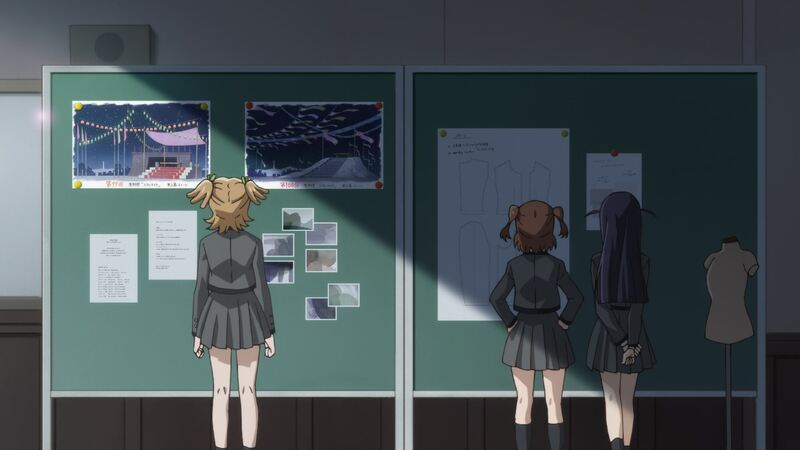 ─ We ended the previous post on Revue Starlight by noting that while the staff tried to keep the game-changing episode 7 under wraps, they’d been very open about their excitement for the next one, saying that was where they poured their everything. And as anyone who’s seen episode 8 can attest, they weren’t kidding. The reveal of Banana’s dazzling stage had to be followed up by something equally impressive if not more, since it was the turn to finally humanize one of the main characters. Unlike the always suspicious Banana, whose unveiling immediately clicked because the entire show had been building up to it, Hikari had intentionally been kept indecipherable until this episode. She was the foreign element after all, so finding out the truth required a trip to London and her past. And despite the limited timeframe and the inherently tricky goal, the episode did a great job not just depicting Hikari’s tribulations but also tying that into the truth about the fantastical auditions: the unimaginable rewards for the top star don’t materialize out of nowhere, they’re quite literally fueled by the lost ambitions of those who can’t make it. And Hikari learned that the hard way. 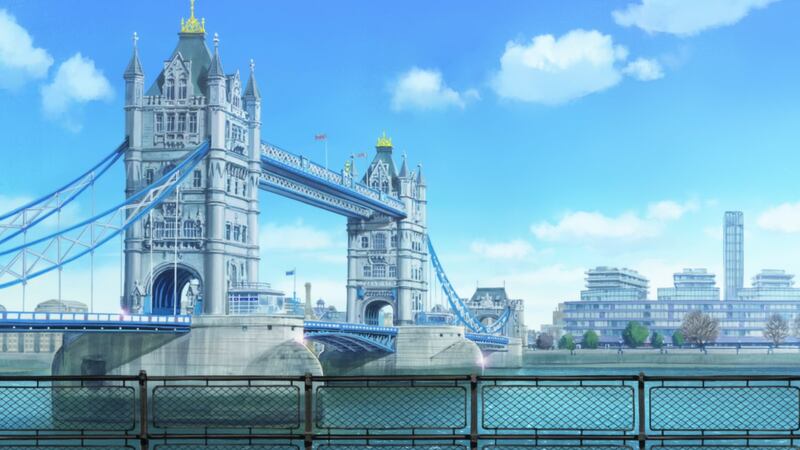 Since the location hunting process in Japan was exhausting enough, the team relied on photos for the London scenery. If you’re curious, you can check the exact materials they used over here. ─ After miraculously receiving a second chance, since melodramatic talking giraffes love the theatrical potential of letting someone rise from their ashes, the show sets up a nice confrontation of mindsets between the reborn Hikari and Banana – the girl betting what little she has left for the potential of a better future versus the one on top, who refuses to move forward and to even accept something better is possible. 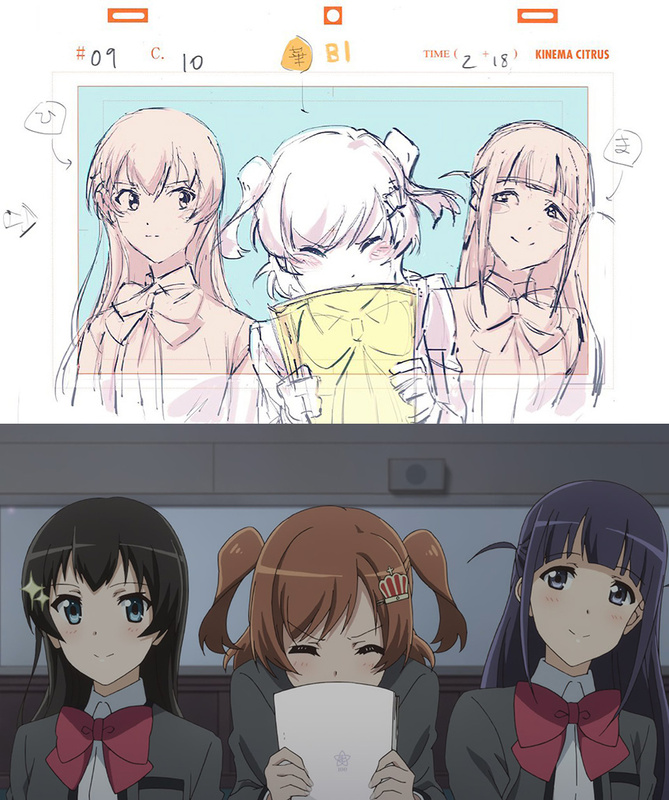 But as usual, Revue Starlight is at its best when it marries those neat ideas with equally inspired storyboarding and directorial efforts, even more so than other shows do. Its performances need those astonishing theatrics, and boy is Fumiaki Kouta the right director for that, as we’ll talk about later. ─ What came as more of a surprise though was how fascinating everything that led to the stage was. 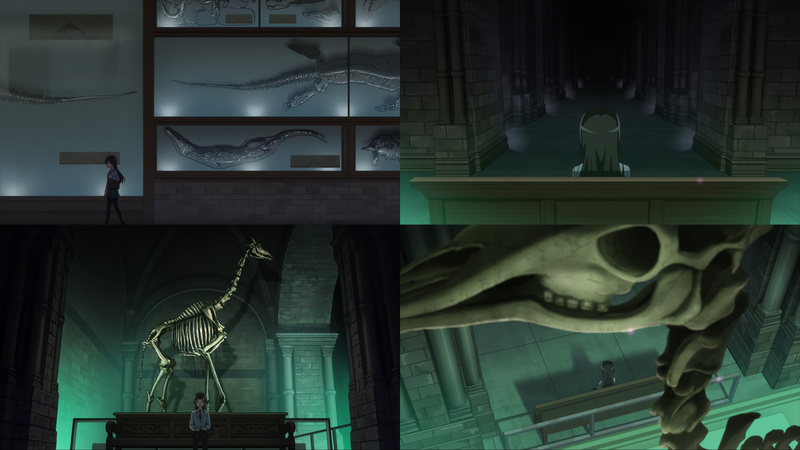 From the increasingly more ominous visit to the museum with the looming presence of the giraffe becoming more threatening with each layout, to the striking moment of failure that gets later recreated to exemplify that it truly is her second chance, his storyboard is enchanting throughout. 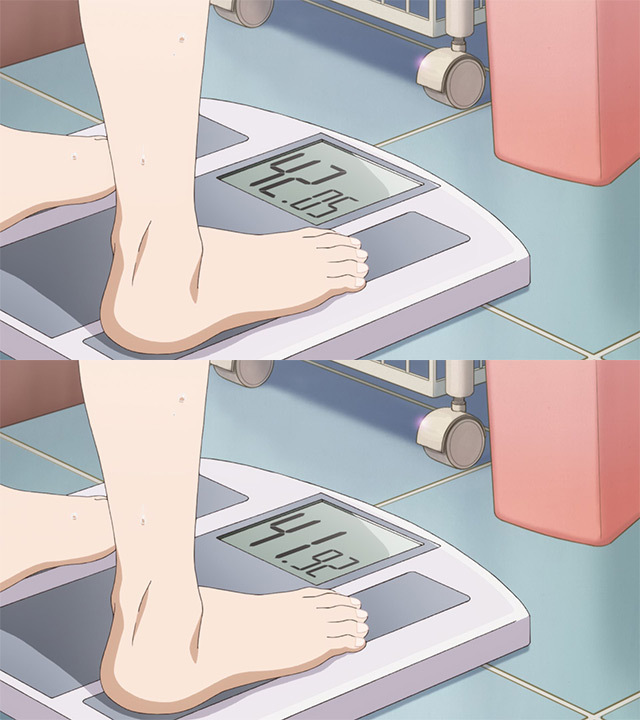 Even the smaller moments are very thought-out; it’s easy to notice the weight loss that gives physical form to the brilliance and dreams that have been stolen, but her very slightly more sluggish morning routine after she’s changed is a subtle stroke of genius. ─ As previously mentioned though, Kouta’s specialization is quite clear: action animation. His effects, Kanada-like in their shape but often more fluid in motion, have been turning heads for about a decade at this point. And the sheer charisma of his work, in a way comparable to his current coworker Takushi Koide, often make him into a perfect candidate to be entrusted with stock footage. There’s no shortage of studios and individuals that trust him, but in recent years his relationship with David Production is the one that really stands out. After leaving a strong impression on The Book of Bantorra, Kouta became Jojo’s Bizare Adventures‘ ace on the animation front; entirely entrusted with tricky episodes, doing design work for the Stands in particular, supervising the action, it’s no wonder that his name has for many people become synonymous with Jojo. Establishing this seems important before I say that as far as I’m concerned, the bombastic action series that’s relevant to his work here is actually something else entirely. Fumiaki Kouta also happens to be Symphogear‘s action director, hence why coming up with action pieces synchronized with the singing of the people involved is something that he feels very comfortable with. 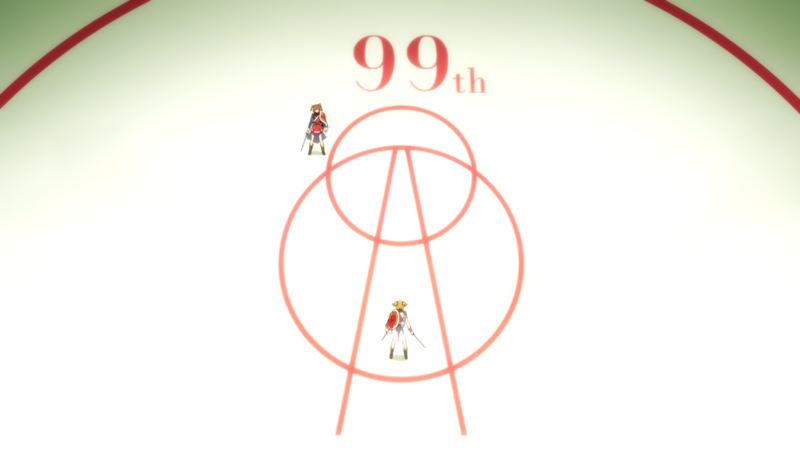 Revue Starlight‘s setpieces are awe-inspiring at their best, and yet this one still managed to feel special in the way it intertwined visuals and audio. Series director Furukawa knew that Fumiaki Kouta was the right man for the job, which is why he made a long call late at night to try to convince him to participate in this production… though by his own admission, most of those 2 hours were spent casually chatting as good friends. ─ It’s not just Kouta’s own animation that left a strong impression though, even if he definitely earned the special credit he received for this. 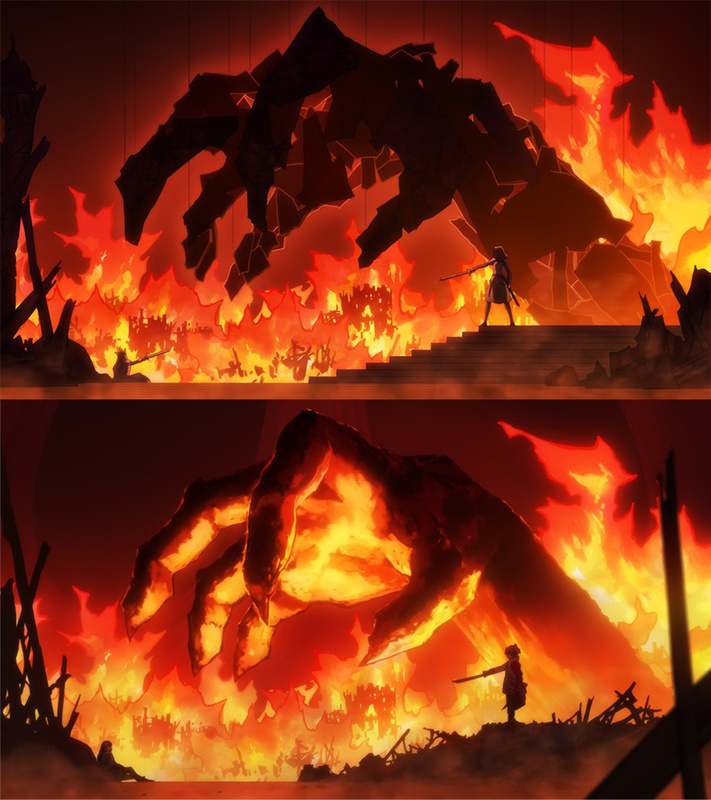 His predilection for 2DFX shaped the episode, from the neat transition into the revue to its most spectacular cuts; the spectacular water splash that marked the changing tides of the battle came from the hand of effects specialist Kazuto Arai, while another expert in that field like Satoshi Sakai appropriately brought it to an end. 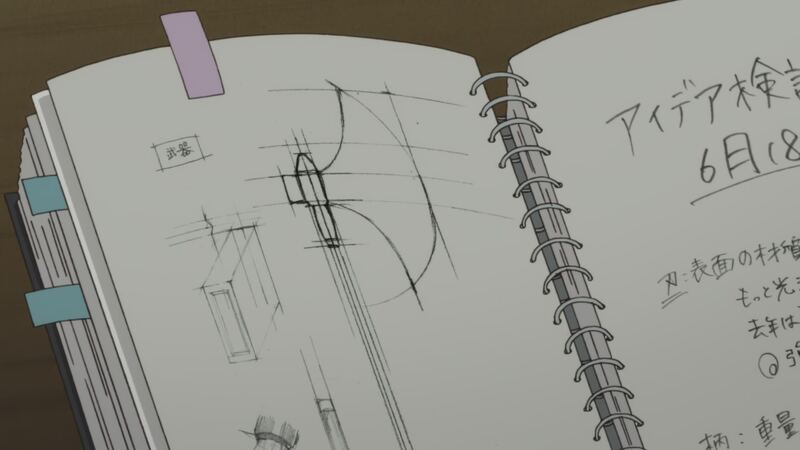 Prop and mechanical animator Takeshi Takakura likely had a hand on the impressive cut with Hikari’s morphing dagger, which has some hypnotic timing. And beyond this one particular bias, the fighting felt fiercer than ever, capturing the desperation of the participants at this point. You can tell this episode is quite loaded when it comes to the animation since the crew was even assisted by some studio Trigger-affiliated people like Little Witch Academia‘s Shouta Sannomiya and the promising Aya Takafuji, who supervised a bit of the animation. This episode owes its success to them all, including whoever was hiding behind the cryptic pen name The Mob Girl from the City of Shimoshakuji. Thank you and bless your imagination. ─ I really stressed out that episode 8 had the impact it did because of the synergy between conceptual and material strengths. Summing down the latter under the vague term of direction doesn’t quite explain what’s so impressive about this series, and saying the show needs animation is just missing the point; let’s not forget that the equally dazzling episode 7 was a static affair that let the animators save up energy, and yet it felt like the perfect realization of the unsettling reveals and Banana’s imposing presence. 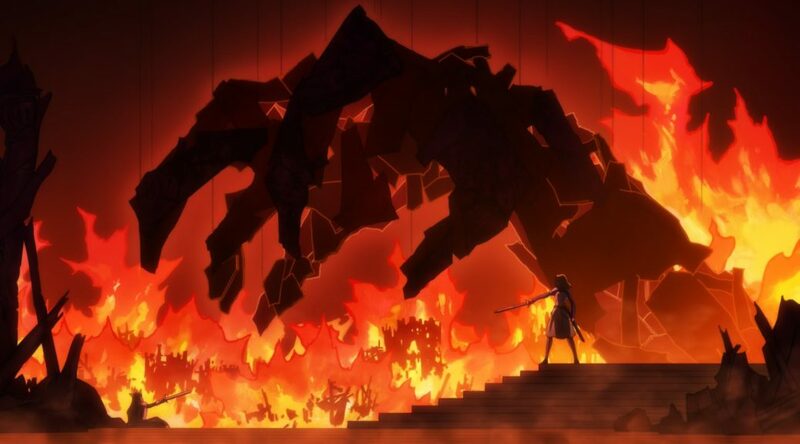 The magical balance that makes Revue Starlight so special was put to test with episode 9, which I consider the show’s first major stumble – not bad by any stretch, but unable to carry on the incredible gravitas of previous episodes. ─ Thematically there are no issues to the conclusion of Banana’s arc, and even though you could argue it happened a bit too fast, it doesn’t seem particularly rushed when compared to previous developments. It does feel like it lacks punch, but that ultimately comes down to the compromised execution. That’s not something I’d blame on Masayuki Kojima’s third storyboard for the series, which is filled with wonderful ideas, but rather on everything that came afterward. The action sequences aren’t as adventurous and corners have to get cut during the downtime, grace is lost alongside polish, even the stage isn’t quite as brilliant as the composite gets less extravagant. Add up enough of those minor problems and you get an episode that should have been as bewitching as the previous two, but simply couldn’t achieve the same effect. Unlike the previous final shots where both parties walked towards the other, episode 9 features Banana standing and Junna taking the proactive role – a better fit for the second verse of the song and their relationship as a whole. This detail is so cute that it made the illustrator cry so much she was embarrassed about it. ─ I imagine some people want more concrete examples of how the troubled production is conditioning Revue Starlight. If we look back at episode 8 for a moment, I can tell you that this amusing comic led to Kouta admitting that his rough storyboards actually did include a surfing battle, but that in the end he got rid of that idea since he knew it would be too much to handle for the overworked team. Now when something like that happens in a nonetheless spectacular episode, this is nothing but a funny anecdote, but once that mentality forcefully becomes the norm you’ve got a problem. It’s not as if this team has gladly lowered their ambitions: it’s taken an extreme situation for them to reluctantly take a step back, and anytime they can start sprinting again they do so without thinking it twice. ─ These production problems are becoming particularly troublesome for their lineup of animation directors, who have admitted they’re simply exhausted. Even episodes that in paper shouldn’t be very demanding for the supervisors, because they don’t have much movement nor particularly complex scenes, now require a ridiculously high number of supervisors. And as you must have noticed if you don’t scroll through the staff lists we include, at this point all those animation directors are the same people every week. Every animator among the core team capable of overseeing the work of their peers is doing so on essentially all episodes as of late. As you can imagine, that’s not really sustainable. Kinema Citrus’ president wasn’t kidding when he expressed doubts about being able to finish the show. 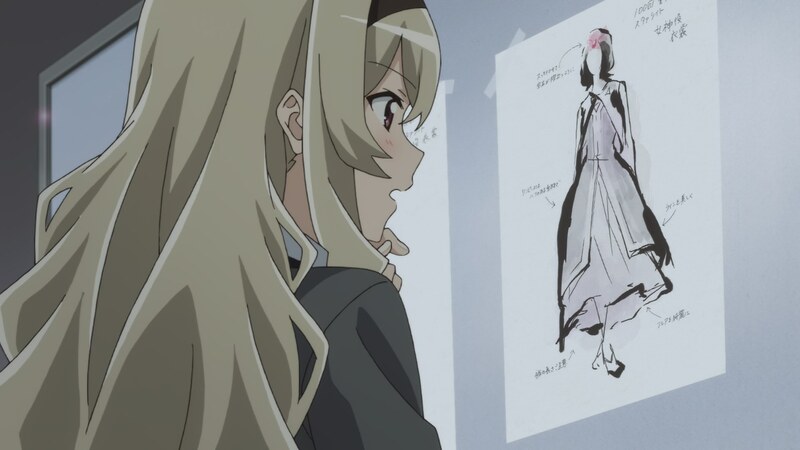 The preparation for the 100th performance gave a chance to Mai Yamaguchi to showcase her actual design sheets for outfits and weapons, which director Furukawa effusively praised her for. ─ But if you want to end with a more optimistic note, let me assure you of this: Revue Starlight will be finished. The situation at the studio hasn’t really improved ever since their representative made that depressing claim, but there’s been a noticeable change with the influx of foreign animators. 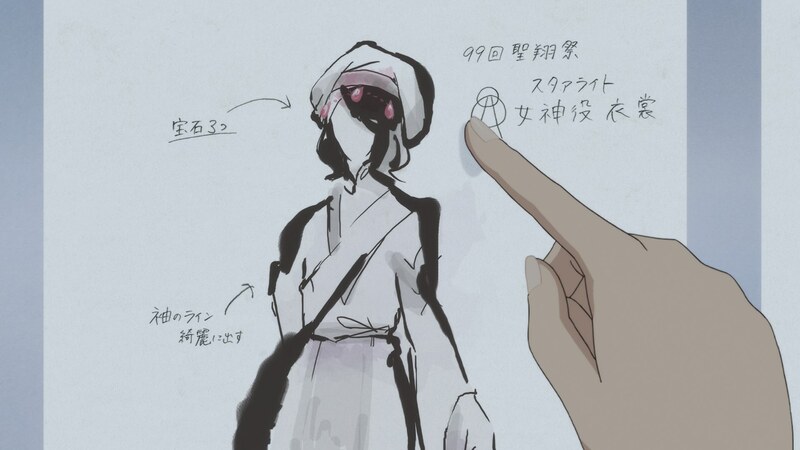 They’ve been gradually making their way into the production, as seen in this episode with Korean mecha prodigy Komet and MLANG, who generously shared a bunch of layouts for the first scenes in the episode – which are more appealing than the rather inert final result truth to be told, though that’s not so much on the episode’s staff but rather on the bland character designs. This will only become more obvious with the next episode, gathering the likes of Van Wulfen, Joao, and even a previous guest on this site like Spike. I knew some of them were going to join the team, but the call for help ended up reaching more people than I could have expected considering this isn’t a project with traditional international links. I did know that Kinema was perfectly alright with remote work since they’ve been relying on Korea’s Makaria for important key animation so I relayed their plea for help to English-speaking audiences and individuals I knew would be interested, but this still turned to be a very positive surprise. No matter if they joined to draw some layouts or to do fully fledged animation, everyone’s alleviating the overworked main team to some degree. Becoming an international effort can only help anime. Episode 9 was indeed the first major stumble, in my opinion. With the airing of episode 10 today, unfortunately the episode became their second stumble, with odd cuts and weird stills put throughout the episode. I’m just hoping that it was all a sacrifice they had to make to make the finale more explosive. Hey Kevin, it might be too late, but do they still need more help? I’d love to help them out if I can. Even if it’s just in-between. They’re getting close to wrapping up, but let me reply to that email!